Beautiful baby tie knot hat the latest colour out now shade in light grey with white trimming . premature baby sizes only. 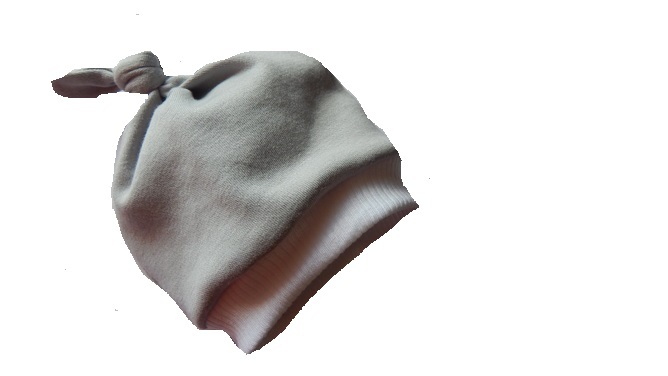 Baby will have a warm head with this very cute hat 100% stretchy cotton fabric.